Even though I am nearing the AARP* age, I am not quite there yet, but you may have read where I am getting my dad’s mail and he was AARP age. I get the AARP Bulletin which I actually think is pretty interesting. I think it has some good information. Especially with all the scammers out there. I would be totally surprised if there is one of you (in the USA) reading this that has not received one of those “the FBI has a warrant out for your arrest and the police are on the way to your house . . . if you don’t call”. Even though the messages are either in a computer’s robotic voice or in such broken and accented English you can barely understand the message it is pretty scary. The elderly are really not all up to date on all the scammers in the world. In this day and age some believe that Microsoft got an alert that their computer had a virus. So I think it is important for ALL of us to know the scams out there so we can help protect the elderly in our lives. There is a lot of insurance fraud and scams and one of the latest ones has to do with the new Medicare Cards. 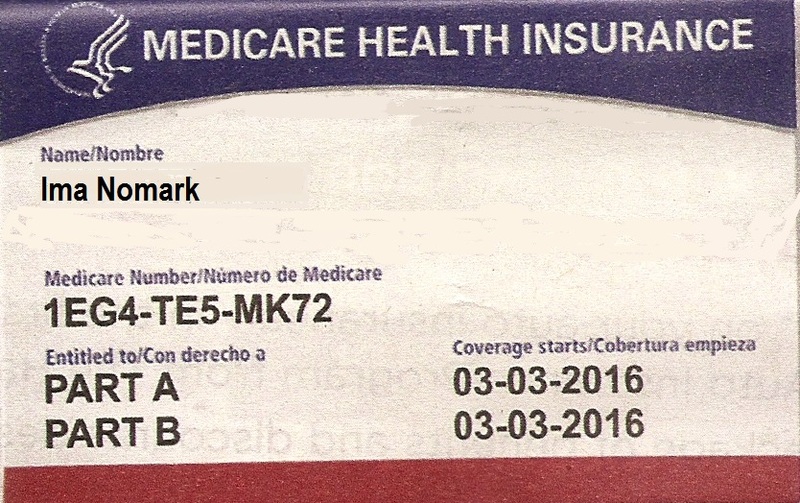 So apparently Medicare is sending out new Medicare Health Insurance cards. They are replacing cards that have members Social Security Numbers on them with unique identification numbers. This started in May (2018) and will take about a year to reach all 60 million members. The cards are being sent at no charge. But guess what? There are people (cough, cough, I use that word loosely in this situation) who are calling members pretending to be Medicare representatives and they are demanding a processing fee. Or they tell the member that they are due a refund and get the members bank information in order to “process the refund”. Just to be clear, Medicare would never ask for a bank account number and no refunds are owed. The cards are to help prevent fraud and then here we have scammers trying to be fraudulent. Sigh. We have to be careful and we need to spread the word and let other people know so we can all thwart these scammers. The more people know the better we can stop it from happening. Will you help spread the word? This entry was posted on June 13, 2018 at 6:41 pm	and is filed under Misc. Tagged: AARP, AARP Bulletin, American Association of Retired Persons, Medicare Card Scam, New Medicare Health Insurance cards, Scammers. You can follow any responses to this entry through the RSS 2.0 feed. You can leave a response, or trackback from your own site.